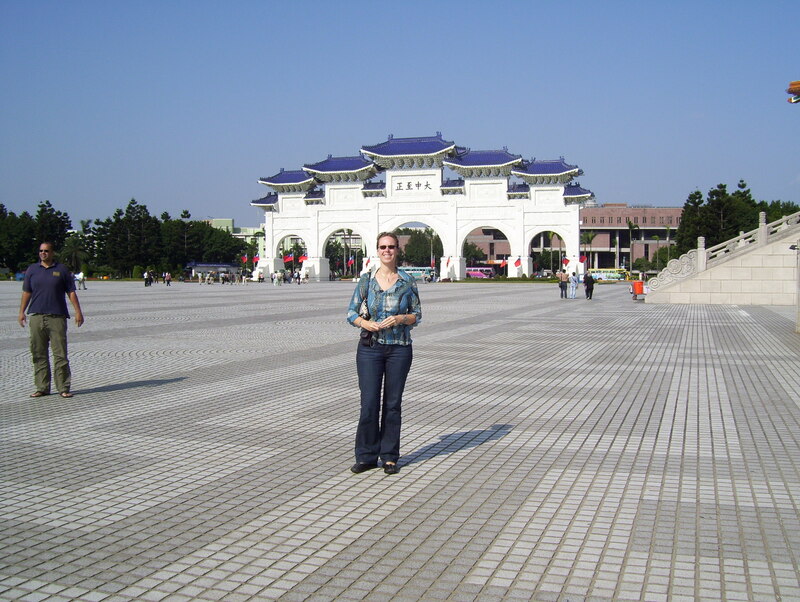 In 2007 our son and his family were living in Taiwan and I had the opportunity to visit this tropical island nation and travel fairly extensively, including a tour arranged with a private tour operator. Following is an account of my adventure. All material, including printed copy and photographs are the property of Jim Chaplin and are not to be reproduced without express written consent of the copyright holder. Arriving at the Chiang Kai-shek airport in Taipei about 5 a.m. local time, after a total of 17 hours in the air and arriving at my sons apartment just when the grandkids were getting up for the day I decided to stay up but ended my day early, about 8 p.m. The next day we wasted no time in becoming familiar with the city and start planning an itinerary for the next two weeks. 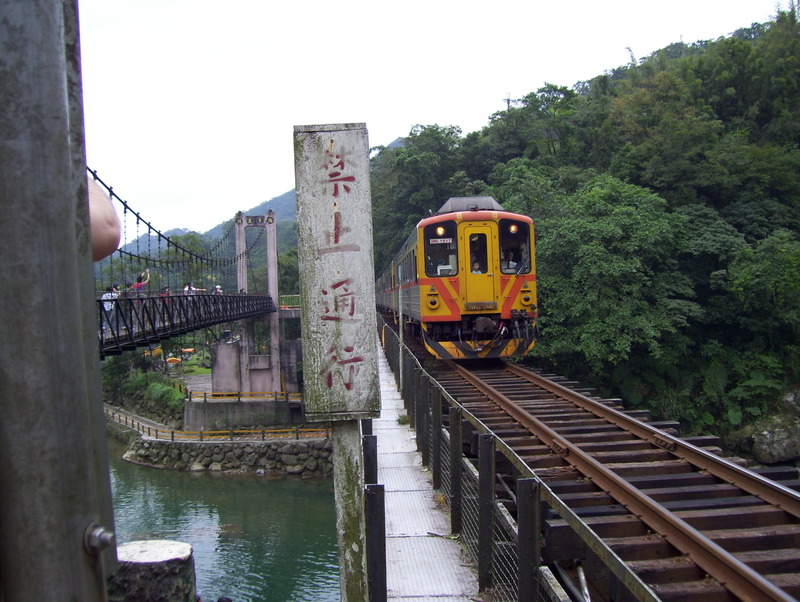 After getting somewhat familiar with the city and the subway system, which was very clean and impressive, the first trip we made was to take the train out of Taipei and connect with the Pingxi rail line at Ruifang, that travels into a former coal mining area, now a tourist destination. Along this line are several small towns. At Shifen we disembarked and walked around the village then to the Shifen waterfall, a major attraction in the area. 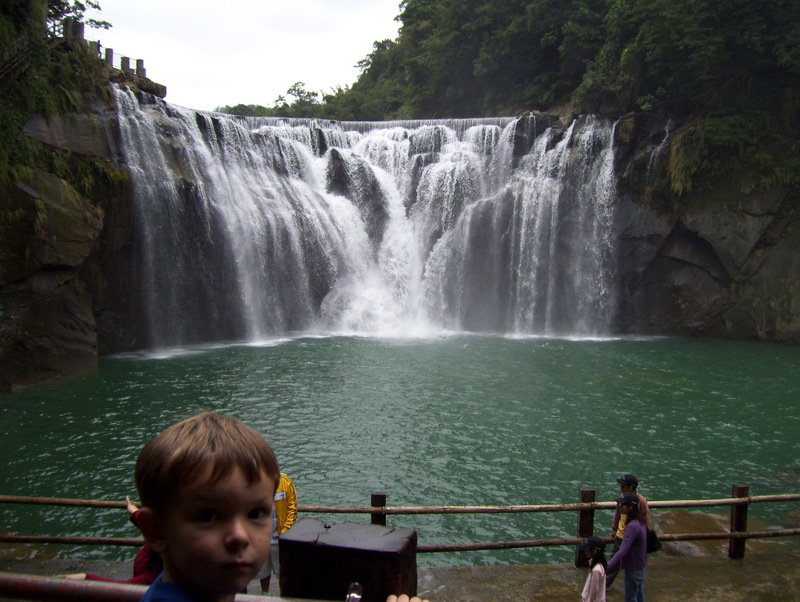 We spent a considerable amount of time taking in the sights, especially the waterfall, which is about a 20 minute or so walk from the actual village before boarding the train again for the trip to the end of the line at Jingtong. Again we did some exploring of the area and dined at the Palace Restaurant, located in an old Japanese-era house. This is considered to be the best place to eat along the Pingxi line. 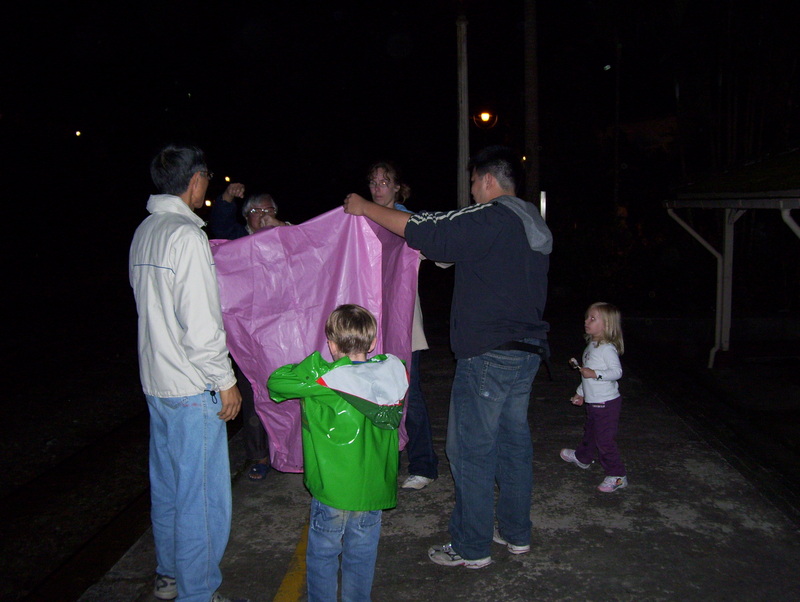 After dinner we partook in a tradition that dates back to the coal mining days, which is to release a sky lantern into the night sky. 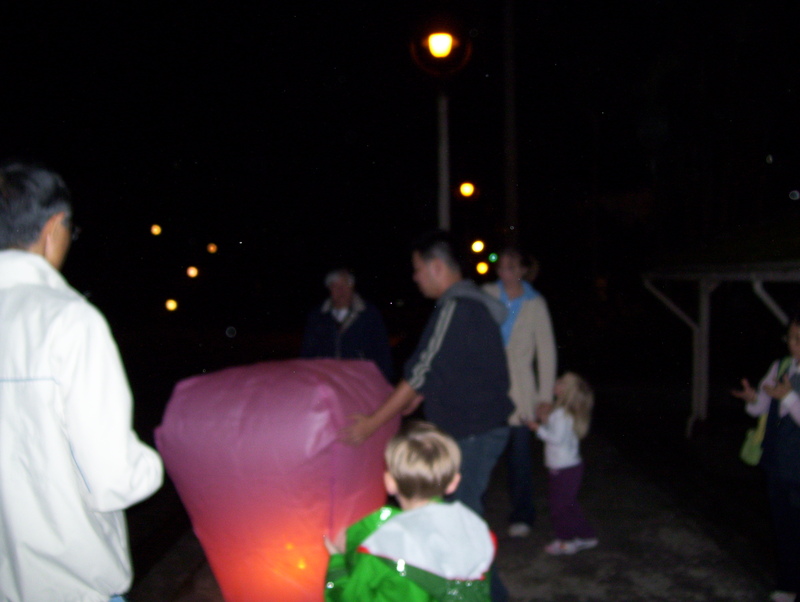 A sky lantern is a large paper lantern with a combustible piece of felt soaked in kerosene and attached to a wire holder at the bottom of the lantern. When ignited this creates heat inside the lantern and causes it to rise into the air. They soar very quickly and become an almost invisible speck within a minute or so. This tradition began generations ago. Remote mountain villages were prone to attacks from bandits and marauders. At the first sign of trouble women and children were sent into the hills for safety. 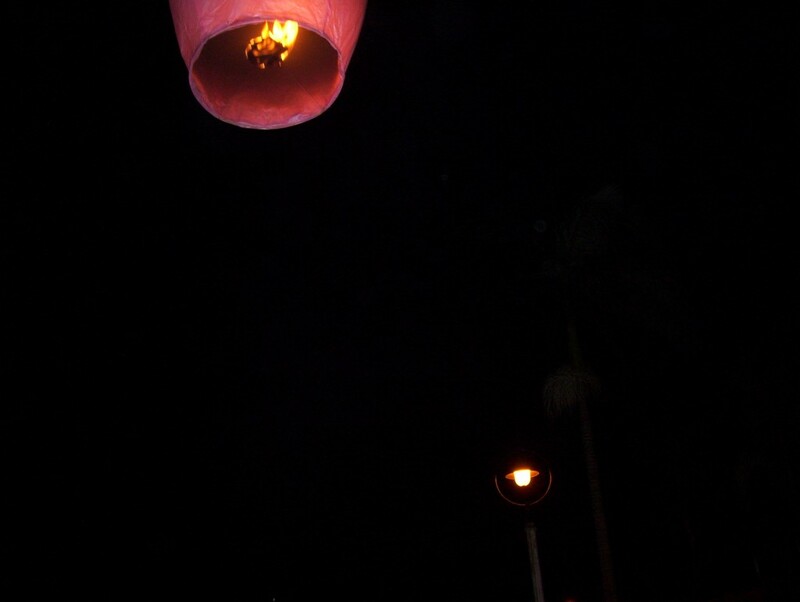 Lanterns were sent up to signal when conditions were safe again. Lanterns can be purchased and sent into the air at any time but each year there is a Lantern Festival when thousands of lanterns are released, which we were told is quite an impressive sight. By the time we returned home everyone was very tired but exhilarated from having spent an interesting and informative day. 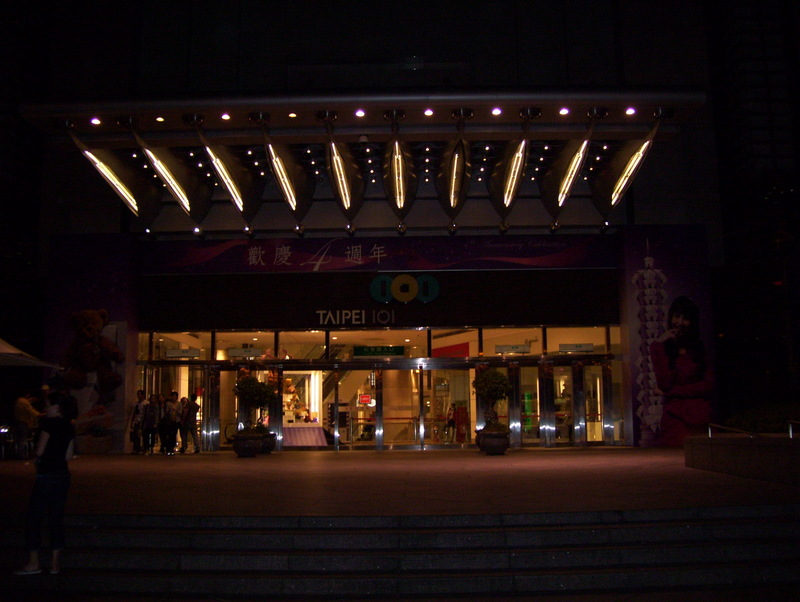 However, the next day we were ready for the next adventure, which was to explore the city of Taipei. 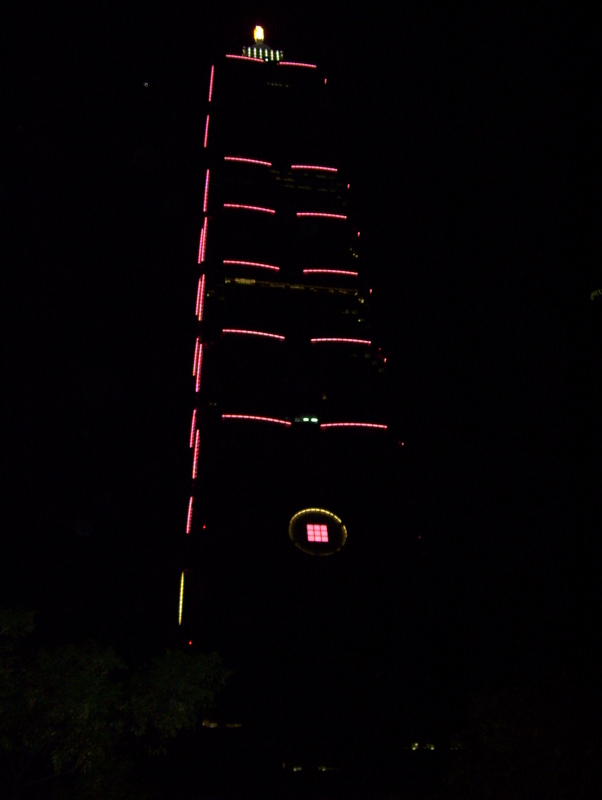 While in Taipei we did visit several important sights, including Taipei 101, a 101 story complex housing offices, commercial establishments and a restaurant on the 91st floor from where the view of the city is spectacular. 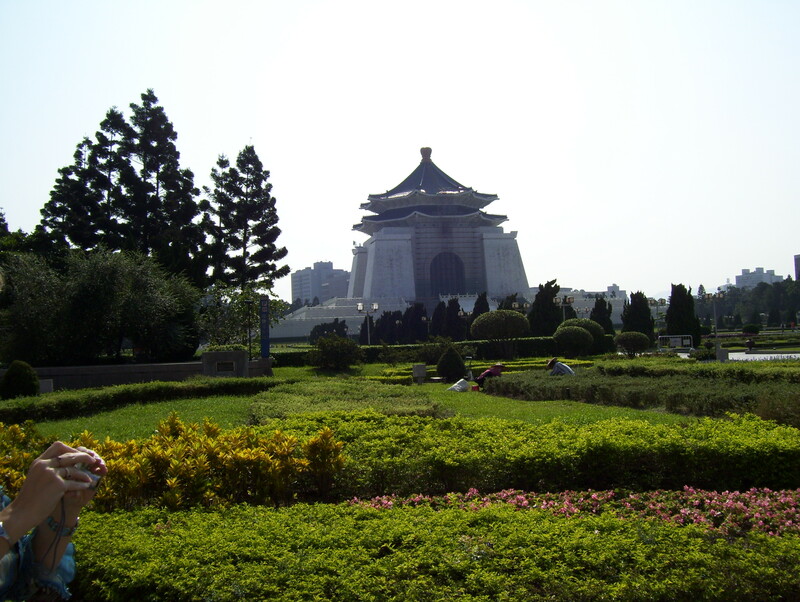 We also visited the Chiang Kai-shek memorial, with its meticulously kept grounds and expansive court yard, with a picturesque gate at its main entry point. Part of our guided tour took us to the National Museum of History, the former residence of a major developer in the early days of Taipei, where members of his family still live and to a number of other interesting locations. 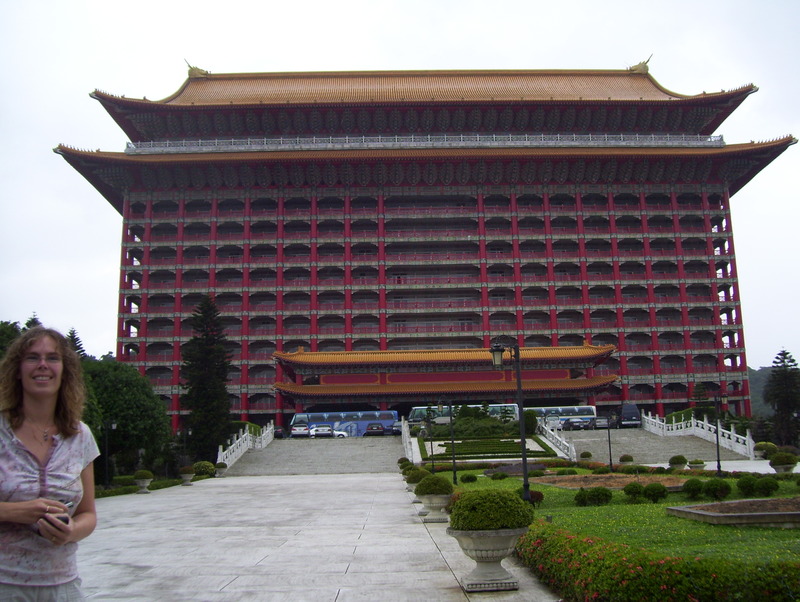 On our own we visited the Grand Hotel which was commissioned by Madam Chiang Kai-shek. The presidential suite in this hotel goes for $5000 a night. 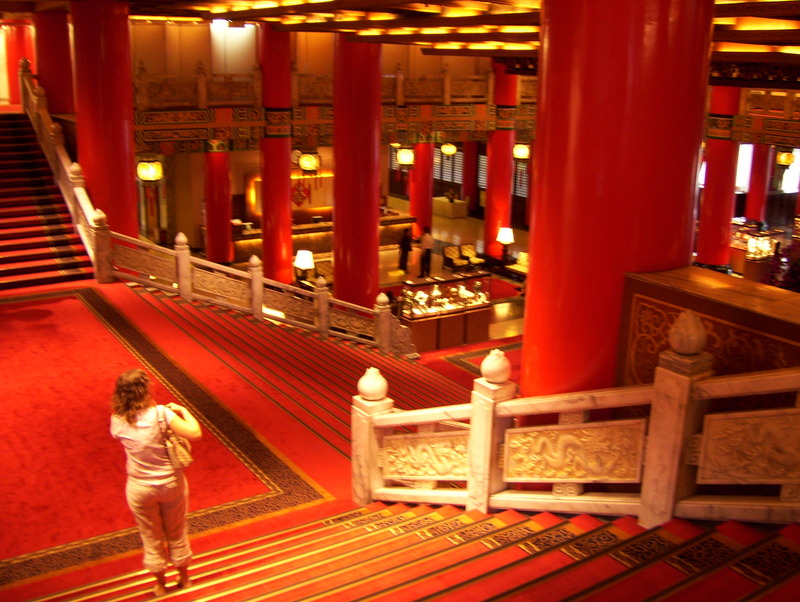 There is also a very expensive restaurant on the main floor, as well one at which we could afford to have lunch. The lobby is spectacular and boasts white marble railings on the staircase from the lobby to a balcony and the second level. No trip to Taiwan would be complete without a visit to one of the many night markets that exist throughout the country. 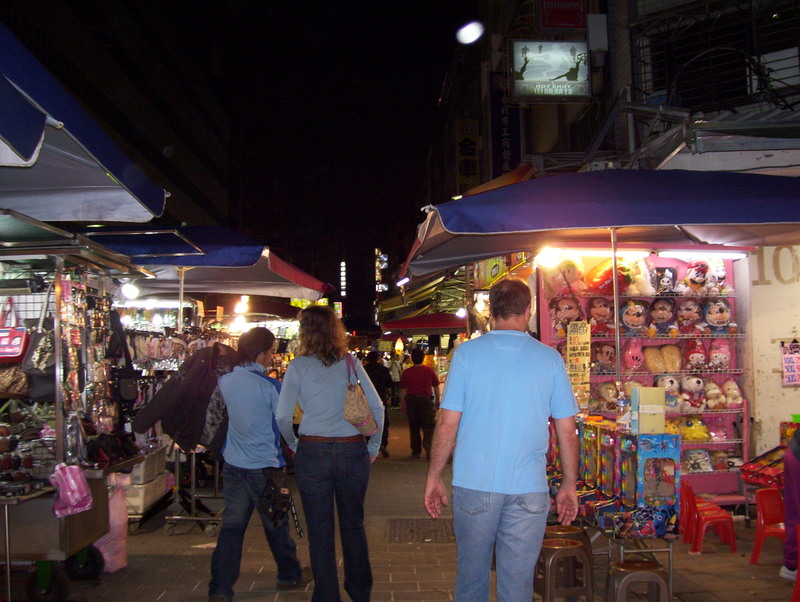 One of the largest and most popular in Taipei is Snake Alley Night Market, which proved to be a very interesting experience and offered a wide variety of goods, including snake meat. We didn’t try any. On my fifth day there my daughter-in-law and I decided to take the subway to the end of the line after walking the grandchildren to school. Because we planned to rent motor scooters and tour around an island that is mainly parkland I had taken my backpack into which I had placed my international drivers license as well as my passport. We hailed a cab on a street corner and were dropped off at the subway. As I went up the steps to the station entrance I realized I had left my backpack in the cab. An attempt to get the drivers attention was unsuccessful and I watched my passport disappear down the street. We contacted the front desk at the apartment building where we were staying and they in turn contacted the police who put out a bulletin to all cabs to look for my backpack, with instructions as to where and when we had been picked up and dropped off. The next step was to contact the Canadian Embassy. They said it could take up to 15 working days to get a replacement. In a couple of days we were taking a guided tour around the island and I had a total of 10 days left in my visit. They also informed me I should go to the Ministry of the Interior and report my lost passport, which I did. 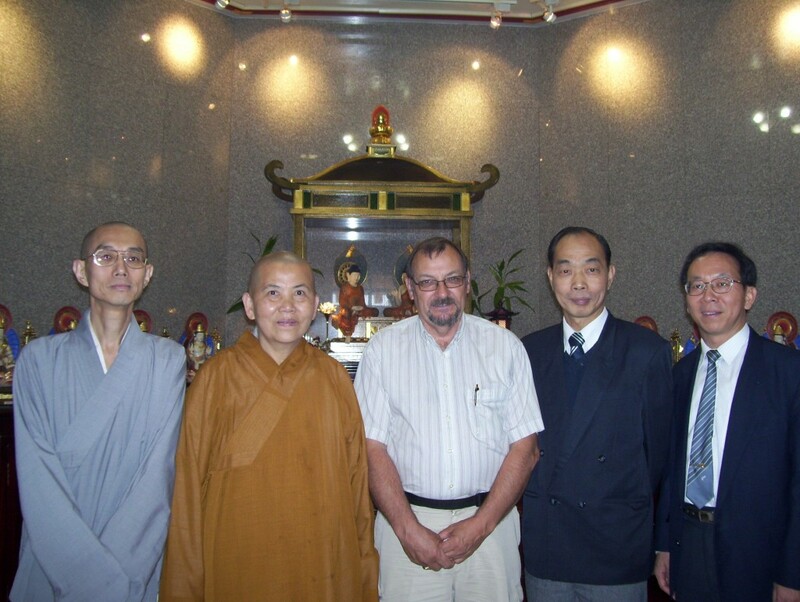 They were very helpful and guided me through the process that needed to be followed. Once this was done we got on the subway and proceeded to continue our plans for the day as best we could. Just after arriving at the last station on the subway line, right around the lunch hour, we headed for a restaurant to have lunch. Believe it or not, a McDonalds. As we ate our lunch my daughter-in-law’s phone rang. It was the people from the apartment building informing us that my backpack had been dropped off at a police station near where we had hailed the cab. We returned to the city and found our way to the station where we found my backpack with everything in it. The whole ordeal had lasted only three and a half hours. What a relief. Another trip to the Ministry to report that my passport had been recovered and all was back to normal and I was thankful for the honesty of the local cab driver, who I was able to track down and needless to say rewarded him for his kindness. 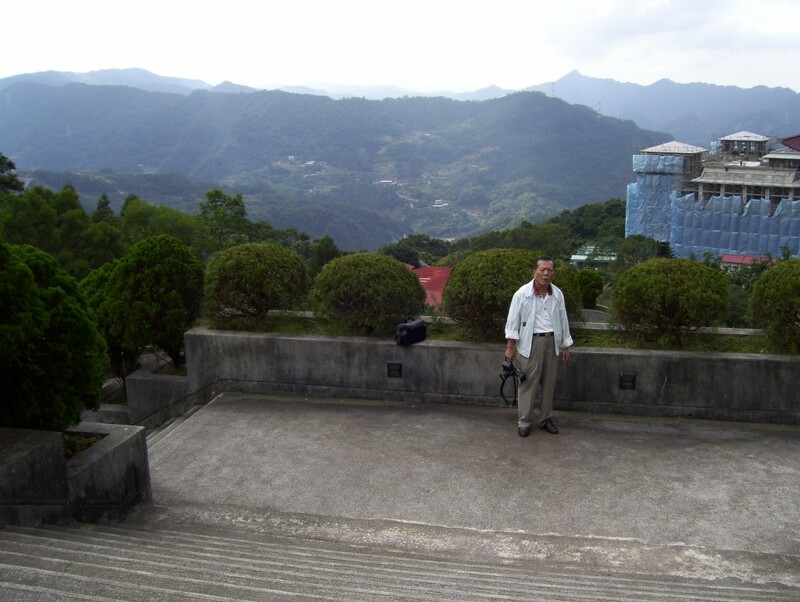 Before leaving Canada I had been given a contact in Taiwan through whom I could arrange a visit to Huafan University. This visit was arranged on a day when our son was at work and our daughter-in-law was on a school trip with one of our grandchildren, leaving me on my own for the day. The university sent a car to pick me up at about 8 a.m. and drove me to the facility, which was in the mountains about an hour and a half out of Taipei. As was the case everywhere we went in Taiwan, the people were very friendly and helpful. The hosts at the university made me feel like an important guest and couldn’t do enough to make my experience one that I will never forget. The structures at this facility were a sight to see. 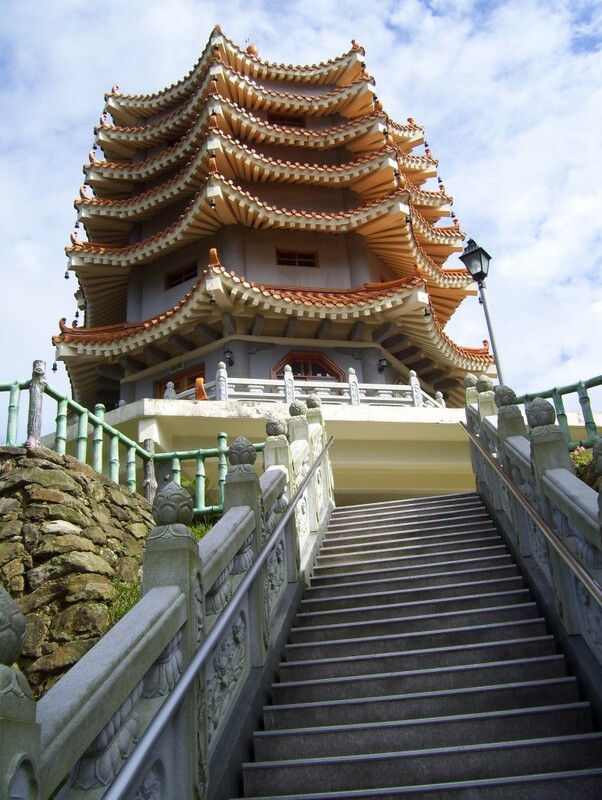 One pagoda at the top of an elaborately adorned staircase, again with white marble railings, was just one of many. 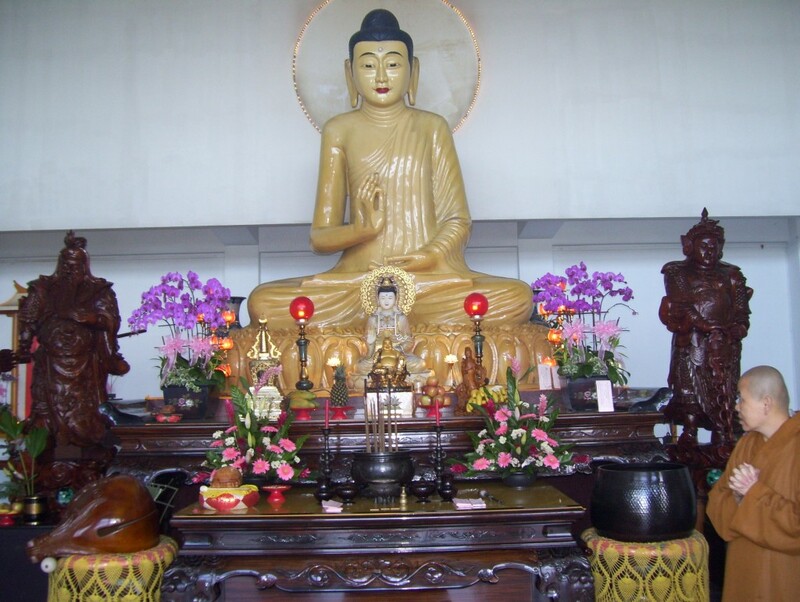 The most impressive, however, was a ten- ton jade Buddha. All of this took place during my first week in Taiwan. The second week was no less impressive. Our tour of the island with Green Island Adventures was one to remember. This company offers a number of tours, including snorkeling tours of Green Island, considered one of the top locations in the world for snorkelers. See contact information at the end of this article. This five-day tour around the tropical & breathtakingly scenic island of Taiwan was originally developed for the Chaplin family, shown above in front of the Big Buddha in Taichung. A 7-day version is also available. The tour begins at the Taipei train station where your English-speaking guide will pick you up (other languages of your choice may also be available). As you drive southeasterly out of the city you soon pass through a 12.9 km tunnel to emerge into the countryside and a drive along the eastern shore of the island. Virtually the entire island is made up of majestic mountains, which tumble into the Pacific Ocean and the views overlooking the shoreline are spectacular. Heading back inland your tour takes you into the beauty of the Toroko Gorge, a national historic site, where you will have lunch overlooking this wonder of nature with it’s abundance of marble deposits. You can stroll along the historic Tunnel of Nine Turns and visit other significant locations with ample opportunities for taking pictures. The first night of your tour is spent in Hualien where you can visit the famous Jade and Marble Market and experience some of the city’s nightlife and you will enjoy a dumpling dinner, courtesy of the tour operator. There is some flexibility built into the tour to accommodate individual interests and day two covers a wide variety of stops, including a visit to the Tropic of Cancer Monument. There you can sample a wide variety of teas at an organic teashop. A rice museum is also on the itinerary and you can sample sugar cane and fresh pineapple from roadside stands. Lunch is at the Taitung train station where you dine on a traditional boxed lunch. Then it is off, through the mountains, to Kenting, with a stop along the way at a Paiwan aboriginal store. In Kenting there is yet another opportunity to visit a lively night market and sample more Taiwanese nightlife. Your accommodations are across the road from a beach and you will have a western style breakfast before heading out on day three of your tour. The first stop on this day is an amazing aquarium that you will not soon forget as you stroll through this underwater paradise and view numerous fish species, including an enormous whale shark. Then it’s off to Sun Moon Lake where you have the option of either an evening or morning boat cruise or simply stroll along the boardwalk and relax over dinner on a patio overlooking this mountain resort lake. Day four you can choose from several sites, the Wenu Temple with its glittering rooftops, which overlooks Sun Moon Lake; an interesting and educational aboriginal village and amusement park; the Puli Winery and the majestic and award winning Chung Tai Chan Temple, with its collection of historic statues and a seven-story indoor pagoda. The day concludes with a drive to Taichung. Your accommodations here are next door to a large shopping mall with a variety of restaurants on the eleventh floor. The final day includes a visit to several sites around Taichung then a drive to Lugang for a stroll down a historic alley with a variety of interesting shops. You can have a fan hand painted and personalized by a renowned artist, visit a quaint tearoom and choose from a variety of handcrafted articles. As the day comes to an end you will be driven to the Taichung train station where you board the high-speed train for the journey back to Taipei. Included in the price of this tour is dinner the first night, four nights accommodation, all breakfasts, admission to the aquarium, aboriginal village, a cultural centre, and part of your high-speed train ticket back to Taipei. Amenities are subject to change. Contact the tour operator for the latest details. 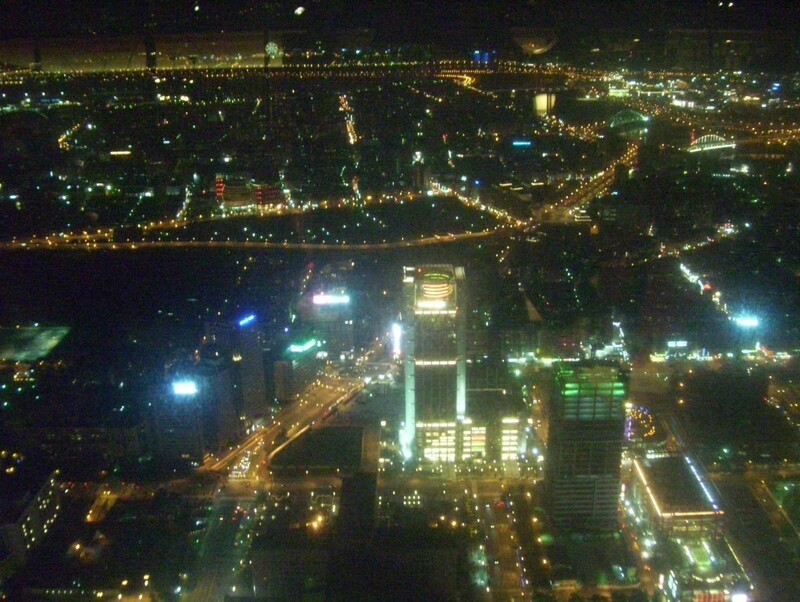 The seven-day version includes two night’s accommodation in Taipei and a guided city tour. Copyright of above materials, including photos belong to Jim Chaplin and may not be reproduced without the express written consent from the copywriter holder. Contact jim@jimchaplin.com or visit www.jimchaplin.com for more information.